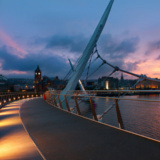 Derry, situated on the scenic banks of the River Foyle in Northern Ireland is home to a population of 149,200 people. It is an exquisitely charming and beautiful city with flourishing natural landscapes, parks and an exceptional countryside. Picturesque bays are separated by lush headlands, exposing moors that yield to valleys and quaint, rustic farmland. 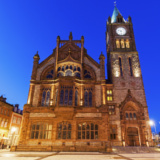 Cheap flights to Derry are now available for a limited period of time, so get ready to be captivated by this lusciously beautiful city. Derry is home to City of Derry Airport (LDY), which is approximately a 15-minute drive from the city center. City of Derry Airport serves a multitude of airlines - including Ryanair and bmi Regional. Connecting flights to Derry depart from Johannesburg and Cape Town. Charming, alluring and pleasing natural landscapes, parks and exceptional countryside all play a pivotal role in the make-up of this metropolis. Revealing moorlands give way to valleys and thriving farmland. 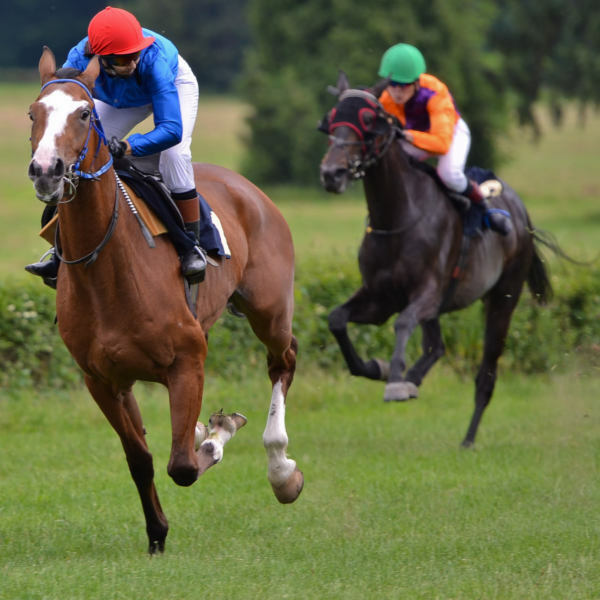 Ideal for the extremist, this well blended sports culture gives sport enthusiasts a chance to participate in walking, cycling, gliding, angling, horse-riding, swimming and orienteering in the area. 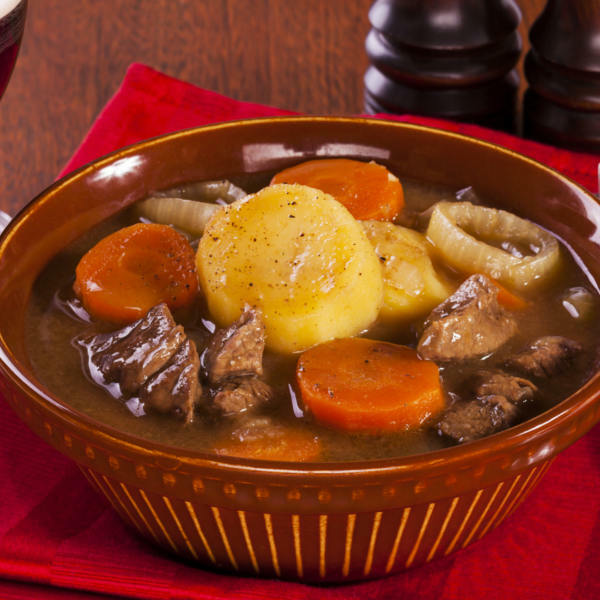 Invigorate your taste buds with indulgent Derry cuisine. Scrumptious, mouth-watering dishes like champ, Irish stew, chicken jalfrezi, paella rice with prawn and chorizo, are amongst many to try. Spring (March – May) and autumn (September – early December) are good times to visit, when airfares and accommodation costs drop, and crowds are scarce. This is a magnificent time to observe the seasonal changes of the trees and fields, which create a kaleidoscope of exotic colours across the city. Summer (June-August) is peak tourist season. The days are warm, bright, balmy and cloudless skies abound. There is more daylight, thus giving you more time to explore the city. During this time, crowds are dense and prices for lodging sky-rocket. It is tough to find accommodation during this season, so plan in advance. During the winter (December-February), hotel prices and airfares hit rock-bottom. The weather is chilly, cold and at its worst. January to February are frosty, but there is hardly any snowfall. In rural areas, a lot of bed-and-breakfasts, lodges, and attractions close for the season. The old wall city lies on the west bank of the River Foyle, spanned by two road bridges and a singular foot bridge. Monasteries, churches and charming grey buildings are regarded as sacred and blessed places to be. There is a cultural prestige, where resounding achievements of Derry’s year as a city of culture brings much praise and admiration to the city. Creativity is tailored, edged, and at the core of this contemporary metropolis. There is a re-awakened, joyful sense of well-being that stirs amongst locals, and a belief in the authenticity of movies, music and imagination. Compare several airlines, and book your cheap flights to Derry online at Travelstart! South African passport holders do need a visa to visit Derry and the rest of Northern Ireland. • Allow enough time for visa processing. • Ensure your passport has a validity period of at least six months. • A recent photo (45mm x 35mm). South African's need to contact the Embassy of Ireland (Telephone: 012 452 1000) for more information on what documents are required, in addition to visa applications. See this step-by-step guide on how to apply for your UK visa. There are no vaccination requirements to enter Northern Ireland. 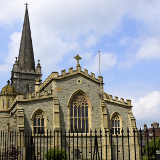 Derry has great healthcare, but there are a few things to consider before you go. • If you are travelling with medication, ensure that the medication is clearly marked and in original containers, along with the prescription or letter from your doctor. • For spectacle users, bring a spare pair or prescription contact lenses. • Vaccinations for hepatitis A, B and rabies are recommended. • Remain alert when walking around at night. 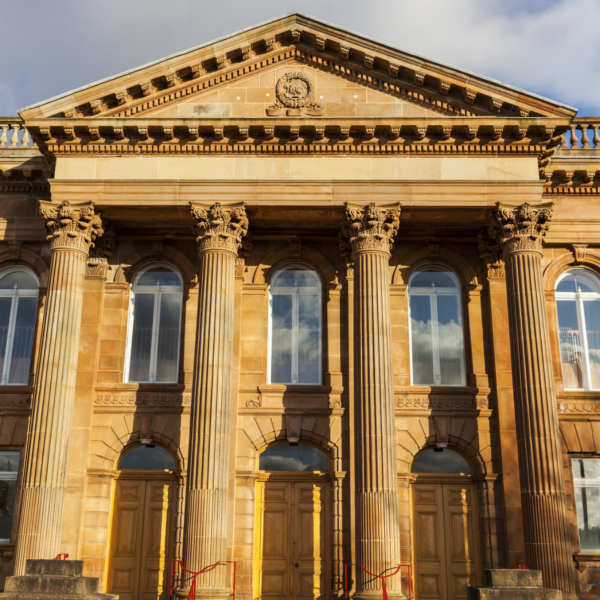 Derry is home to a plethora of stylish hotels and guesthouses. Many of the original 1900s buildings have been converted into lodges, still housing their unique charm. There are plenty of hostels on offer, too – combining contemporary and luxury features like bars, restaurants and spa facilities. The city centre is where you’ll find chic Art Deco buildings offering comfortable rooms, hearty breakfasts and free parking facilities. Whatever your budget or taste, Derry’s accommodation options will not disappoint! Bus: Derry has several main bus operators which run the majority of local services. Tickets, schedules, timetables and information leaflets are available from the information office at the bus station. Express Coach: A national express coach also runs from the bus station. Enquire about fees, as this luxurious, comfortable ride will cost a pretty penny. Train: Direct rail services to a large number of destinations are available. Information about routes and schedules are available from the city’s information desk. Park and ride services: These are offered in Derry and operate Monday – Saturday. Ensure that you park in the allocated bays, as fines are issued if you are not parked in your location.